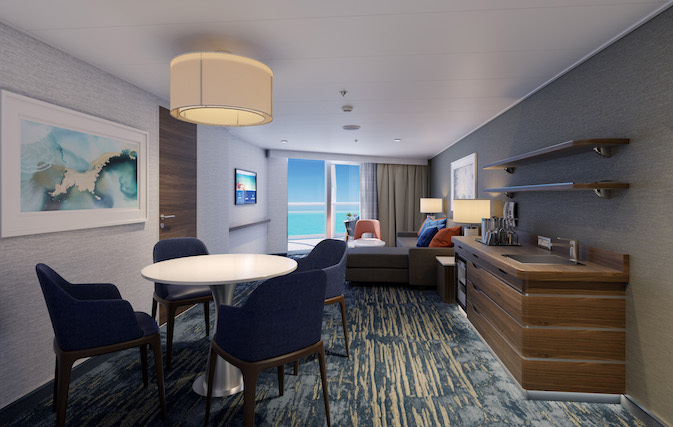 MIAMI — Carnival is offering a sneak peek at its new high-level Carnival Excel suites making their debut on new-build Mardi Gras, slated to enter service in August 2020. 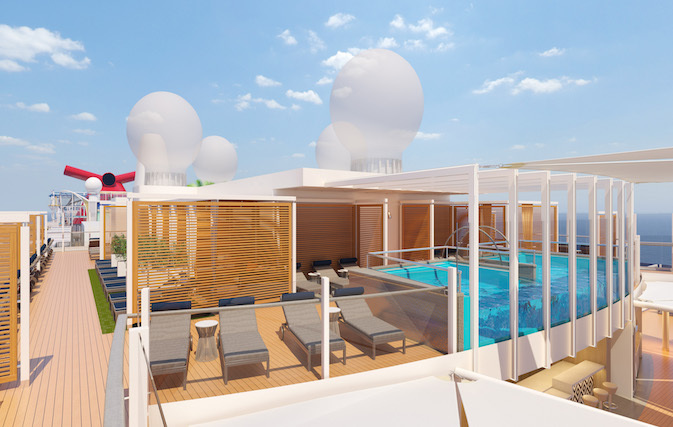 Currently under construction at the Meyer Turku shipyard in Finland, Mardi Gras is scheduled to launch in Europe on Aug. 31, 2020, before repositioning to New York for a series of voyages before shiftomg to Port Canaveral for year-round seven-day Caribbean cruises starting in October 2020. Bookings for Mardi Gras opened in January 2019. Mardi Gras will offer 180+ suites across 11 styles including the new premium category Carnival Excel suites with select amenities and access to a new open-air enclave called Loft 19. Carnival Excel Presidential Suite – Two Presidential Suites – the largest in the fleet – located on Deck 17 that feature living, dining and sleeping areas along with the fleet’s most expansive balconies with sea views, large sunbed and lounging areas, as well as a private outdoor hot tub and shower. These suites also include access to the spa’s thermal suite and the Havana pool area. 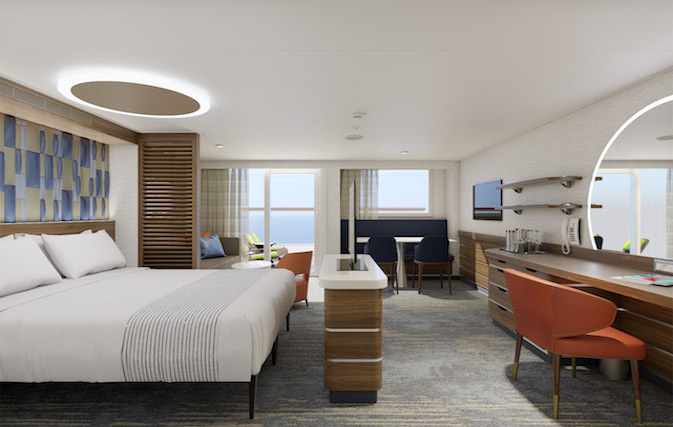 Carnival Excel Aft Suite – 12 suites overlooking Summer Landing and boasting separate living rooms and bedrooms with large wraparound balconies offering impressive ocean views, as well as a private outdoor hot tub and areas for al fresco dining and relaxing. 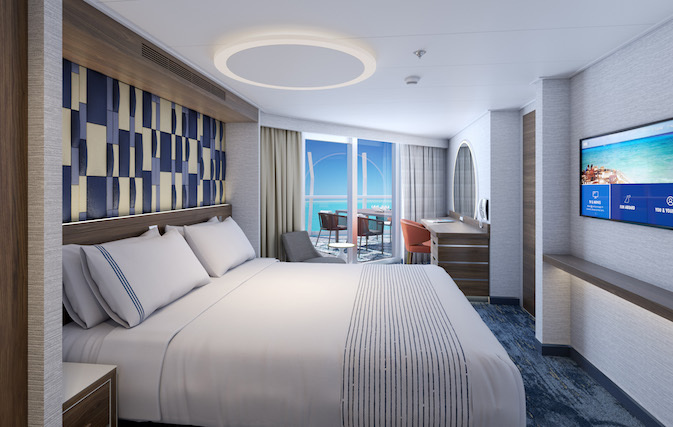 Carnival Excel Corner Suite – 12 suites on the port and starboard sides of the ship featuring separate sleeping and lounging areas, a wet bar and wraparound balconies with lounging and dining areas. 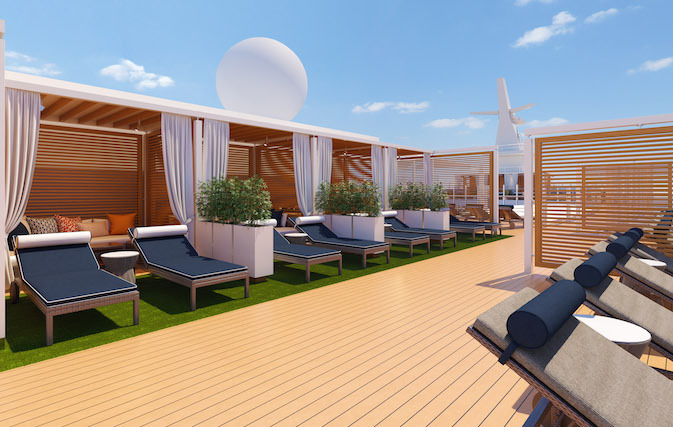 Meanwhile Loft 19, located on the ship’s highest deck, is another new concept for Carnival with full bar service, a private pool surrounded by sun loungers and spacious cabanas available for rent. Cabanas are fully stocked with beverages, plush robes and chilled towels, fresh fruit, lunch delivery and dedicated concierge service. Carnival Excel suite guests will receive priority when reserving Loft 19 cabanas. 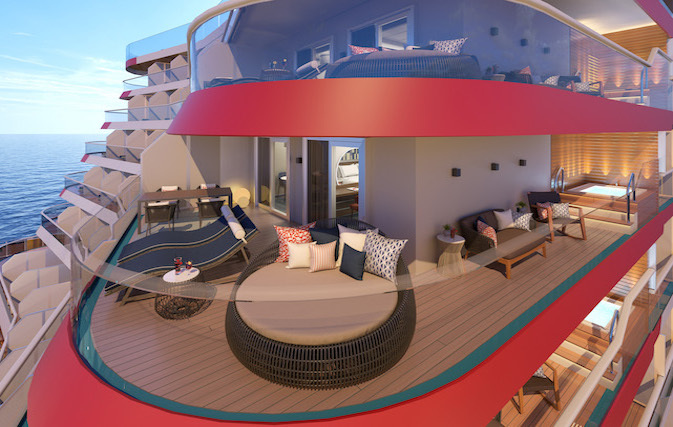 Ocean Suites – separate sleeping and lounging areas with ergonomically-friendly design. The new suite options are in addition to the Mardi Gras’ accommodations with turquoise hues and enhanced by design touches like floor-to-ceiling glass sliding doors; new sofas that flip into beds; more 110V power outlets and USB connections than on any other ship; flexible bedside reading lamps; a larger, more customizable wardrobe with extensive storage options; and spacious bathrooms with glass shower doors, a first for the line, along with an in-shower shaving bar.